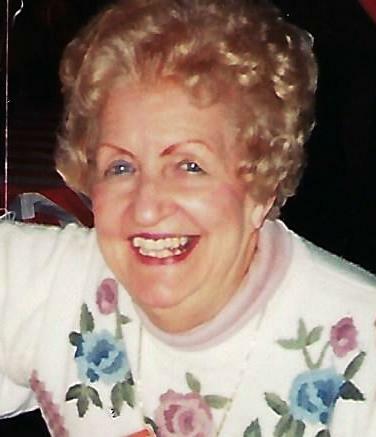 Sprecher, Patti Jean age 95 of Tipp City, OH passed away Friday, March 29, 2019 at SpringMeade Health Center, Tipp City. She is preceded in death by her parents, husband, Kenneth Ned Sprecher in 1988, daughter, Sandy Ellis in 2018 and grandson Michael Ellis. Patti is survived by her grandsons, Kirk Ellis, Urbana, OH and Eric Ellis, Enon, OH, great grandchildren, Mark, Danny, Eileen, Patrick, Christopher, Erin, Caitlyn, Freddy Ellis and great great grandson, Eric Ellis. Patti was a member and past president of the American Legion Auxiliary Post 586, Tipp City, garden club, and Eastern Star. She enjoyed visiting with friends, watching and television and having a good meal. She loved spending time with her family; especially her grandchildren and great grandchildren. She always had a smile and a positive attitude. Patti was the type of person who made you feel special. Funeral service 1:00 PM, Friday April 5, 2019 at FRINGS AND BAYLIFF FUNERAL HOME, 327 W. Main St. Tipp City, OH 45371; Rev. Randy Reed officiating. Burial to follow in Maple Hill Cemetery, Tipp City. Visitation 11:00 AM until time of service at 1:00 at the funeral home. Donations may be made in loving memory of Patti to the American Legion Auxiliary.